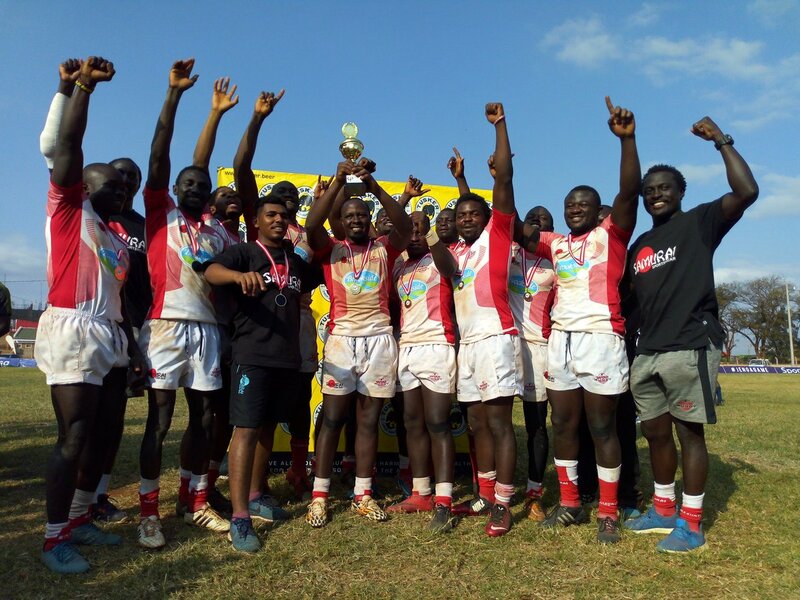 Samurai Select are champions of second edition of Embu Sevens concluded on Sunday July 2, 2017 in Embu. The Samurai Sevens beat Nationwide side Northern Suburbs Cubs 20-7 to lift the title. They ran in four tries four unconverted tries against Suburbs' converted touch down. In Cup semis, Samurai beat Catholic Monks 34-0 as Suburbs beat Strathmore 12-5. Nondies won Plate as Chuka Vikings bagged bowl. Johnstone Olindi was named the MVP. Ginton Odongo bagged a brace as Geoffrey Ominde and Philip Kwame were also on target. "Two days have been very good for us and the tournament is very well organized. Suburbs were good in the opening half and that is what happens in Sevens if you don't get direct with your right foot but we took control in second half," said Samurai 7s head coach Humphrey Kayange. Cubs had taken an early lead through a converted try but the star-studded franchise side pulled one back through Kenya Harlequins winger Ginton Adongo’s try but Geoffrey Ominde sent the conversion wide to see Cubs maintain 7-5 lead. Adongo was at it again ensuring Samurai bags the win touching down at the wing and Ominde was not sure with his boot once again for a 10-7 lead at the interval. Ominde would however bag a five pointer early in the second half moments before Philip Kwame added the bonus try which would be the full time score.